Japan offers an exotic, fashionable environment for teenagers, as well as being one of the safest countries in the world. 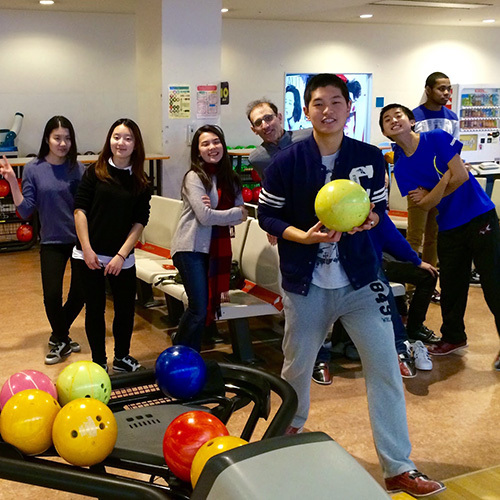 We attract students from a range of countries to join the CA community. Canadian Academy boasts a dormitory facility that provides a home away from home for up to 22 "dormies". 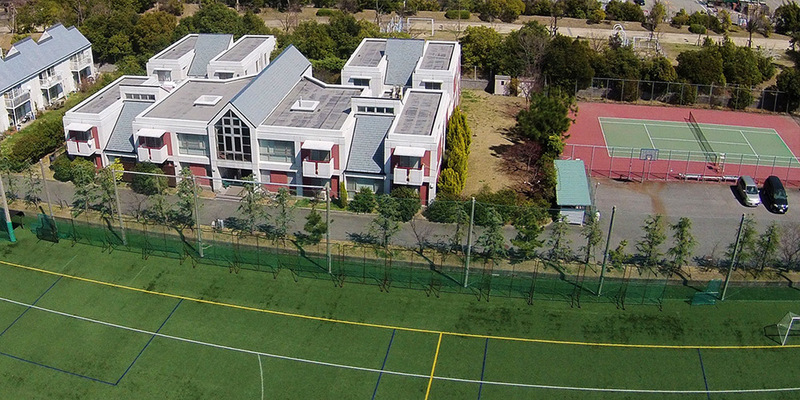 We have eight dormitory "parents" who nurture the students' academic and social growth. 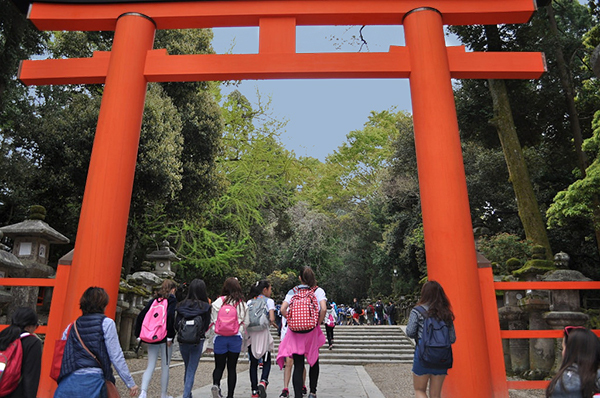 Through the dormitory program, students are introduced to Japan at school and during weekend excursions and cultural activities. Living in the CA dormitory gives me an opportunity to interact and get close to people that I normally wouldn't know, and that helps me realize how diverse, and how similar people are at the same time. It gives me a better sense of who I am as well, and how to belong to a community. Our dormitory provides a family environment for students, and fosters a close relationship between students and their resident house parents. The dormitory consists of two separate dorm houses and a recreation building. Each house contains a living room, three bathrooms, and several student bedrooms, all of which connect to a dorm parent apartment. Facilities available for student use include: a kitchenette equipped with a refrigerator, oven, stove, microwave and utensils; washers and dryers; a house lounge with TV/DVD; a recreation area with TV/DVD, piano room, and ping-pong tables; and outdoor facilities including a tennis court, basketball court and soccer field. Student rooms are furnished with beds and mattresses, desks, chairs, bookcases, chests of drawers, and closet space. We are committed to making students' living situation friendly, warm and caring. We strive to make Gloucester House more than just a place to sleep and study; we want it to be a second home to dormitory students. We strive to make dorm students feel comfortable interacting with dorm parents and contributing to make Gloucester House an ideal community. It’s more than a place to sleep and study, though. It is a second home in a warm and caring environment. Canadian Academy is able to sponsor Japanese the Pre-College Student Visa for dormitory students and we can also help families with the visa application process. **This includes breakfast 5 times per week and the evening meal 4 times per week, Monday through Thursday. In addition, ¥120,000 from this is allocated for a personal lunch account for your child to purchase any optional service (lunch and snacks). These services are provided through Cezars Kitchen. Each spring, we require a non-refundable deposit of ¥250,000 to reserve your dorm space. This deposit is subtracted from the dorm fee once the student has arrived at CA. Students who withdraw early must pay the room charge for the full semester. Two passport size photos for each applicant. Canadian Academy, located in Kobe, Japan, is surrounded by rich culture, breathtaking nature, and exciting urban adventures. Being about one hour away from the cities of Kyoto and Nara, one can immerse oneself in the traditions of Japan. Catch a glimpse of a geisha walking down the street as you take in temples over a thousand years old. Take part in a tea ceremony while donning a kimono yourself. But Japan is not stuck in the past; Kobe is a modern city with over 1.5 million people. Being located 20 minutes from Osaka, shopping, museums, entertainment and dining options are seemingly endless. Every once in a while you might want to get away from it all. Kobe is nestled between the Rokko Mountain range and the ocean, with hiking, surfing, and skiing nearby. In many ways, it’s an easy place to live and study. Things work. Safe. Dependable. But upon arriving in Japan, the traditions, the culture, and the nature won’t be the first thing that strikes you; it will be the hospitality of our host country and its people. Download the dorm application packageReserve a place now!